Baku Museum Center will host an event dedicated to the 75th anniversary of the birth of a prominent actor and director, People's Artist of Azerbaijan Shahmar Alakbarov on July 17. The evening is co-organized by the Ministry of Culture, Azerbaijan Union of Cinematographers and Azerbaijani State Film Foundation. A photo exhibition, reflecting the work of great actor and director will be organized as part of the event. During the event, colleagues, friends and relatives of Alakbarov will tell about his life and work. 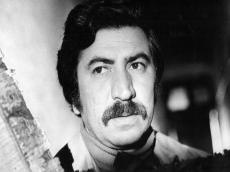 Shahmar Alakbarov was born on August 23, 1943 in Ganja. When Shahmar was nine years old, the family moved to Baku. He studied at the acting department of the Theater Institute (now - Azerbaijan State University of Culture and Arts). From the third year he played on the stage of the Azerbaijan State Drama Theater (now - Azerbaijan State Academic National Drama Theater). Soon he received an invitation from the director Adil Isgandarov to "Azerbaijanfilm" studio. At the film studio Alakbarov proved himself as an actor and director. He also duplicated the films. Among the well-known roles are Gazanfar ("Seven sons of mine"), Iman ("The Last Pass"), Arif ("Life Tests Us "), Azad ("Winds are blowing in Baku"), and others. In 1987, Shahmar Alakbarov together with Gulbeniz Azimzade filmed his first film "Exam". Alakbarov also made such films as "Gazellekhan" and "The Endless Night". Unfortunately, the actor died on August 12, 1992, after a long illness. He was only 49 years old.